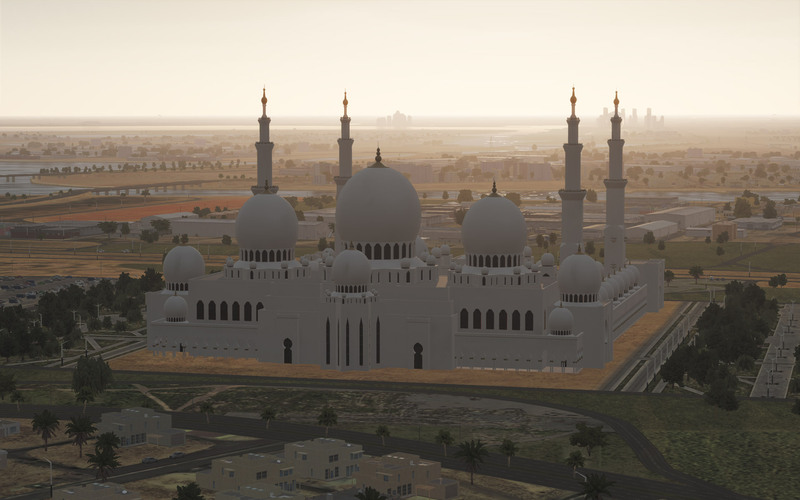 New updates are inbound for the DCS: Persian Gulf map featuring new airports and some key landmarks in the region and these updates are coming November 21st. Yas Viceroy hotel and the Formula-1 racetrack in the distance. 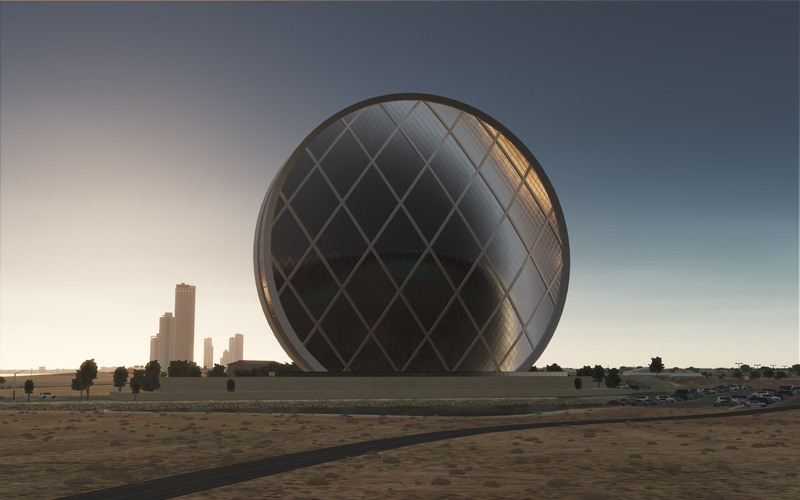 There is also the Abu Dhabi National Exhibition Center, the Yas Viceroy hotel, the Formula 1 racetrack and the F1 theme park that has been constructed in that area all being added to the map. It’s not a bad collection of new content for this map that has been out and already in very good shape for months now. I like the idea of Eagle Dynamics continuing to add value to Persian Gulf. Abu Dhabi city limits. Worth checking out if you haven’t seen them already! Check out the full update with more screenshots here. Wonder if they plan on some more optimization in the future. I’m all for releasing content, but some of the persistent issues performance/optimization related is causing me to re-invest into my PC rather than more products for this DCS. My PC isn’t low on the spectrum in terms of performance. With a 4770k, Raid 0 SSD dedicated solely for DCS, GTX 1070 a $400 card; flight simming solely is for DCS is becoming more expensive as I’ve run into no other performance issues related on any other sims I choose to employ..at-least since the 780 IL2 issue, that I managed to work my way around till I got the 1070. But I’m still plagued with strange things that really tank my experience – granted my expectations are set high. I still don’t believe the specs I’ve set to be too demanding to encounter the issues I’ve run into..like A2A combat is a crab shoot sometimes the missile impact on a target is enough to drop my system into a lock for 1-2 seconds..adding clouds to any mission can tank up to %30 of performance/looking at the sun, and carrier based mission is a real sore point as well.The list could go on. Don’t mean to rant on your post! I’m happy with these changes! Just a little bitter to see more things added and hope ED tread carefully in fear of further destabilizing an already bad situation. It sounds like you’re having some performance issues with DCS and that, if everything else on your system is working fine and you can run IL-2 without a hitch, means that you may need to do a little work to get DCS optimized for your system. ED has put in some serious resources in the last year since 2.5 launched to optimize and that included making things run better on systems like mine was with only 8GB of RAM. I’m sure they will continue to optimize (DCS is certainly a beast) but I would look closer to home for more immediate relief. Check out this guide for a full in-depth process on how to get things running smoothly. If nothing else… Try backing off on all of your setting (set it all to low) and then work your way through until you’re happy. My system (A Core i5 6600, GTX 1070ti and 16GB of RAM) runs extremely well. Even with 8GB of RAM and a GTX 960 with only 2GB of VRAM, DCS under 2.5 ran very well with a few glitches here and there. No major pauses on a regular basis… that’s for sure though even with the GPU and RAM upgrades I still see 1-1.5s glitch now and again. Rare though! I’m glad ED is improving the Strait of Hormuz theater but I must confess that I’m not really sold on its relevance regarding the actual planes set. If I’m not mistaken all the aircrafts actually available are at best early 2000s, not 201x. DCS is still strugling with this kind of discrepancy and I really don’t get why ; I wish they were working towards a more consistent environment. This is one thing that ED continues to struggle with is having the aircraft set match everything else. That said, the Hornet fits Persian Gulf just fine along with the AV-8B, A-10, F-15C, M-2000C, F-5. They are close enough IMHO. Get away from Dubai itself and you’re over terrain that hasn’t truly changed all that much in 30 years. Not enough to break immersion. Persian Gulf is my favourite map. It’s beautifully done, detailed, and the look of it is unique (even from Nevada). I recommend it to most but the one thing I’m still waiting on is a good Hornet campaign on this map. That’ll put it over the top for me.